It's the top three rows of the GNAP! constructed like a Gherkin. It has a regular PWM backlight like the Gherkin does, powered by a MOSFET connected to pin B5. Still working on a keymap. I have a basic one for testing on github. 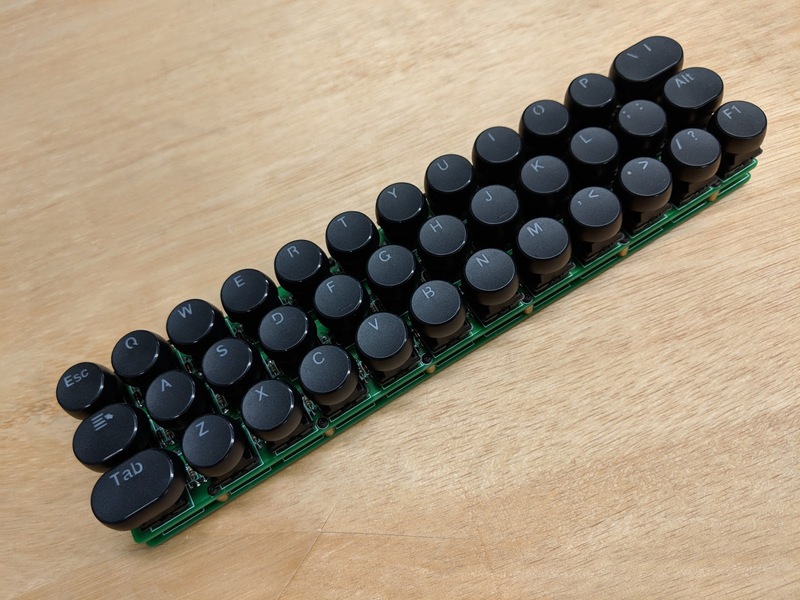 Assembled with cheap typewriter style keycaps. 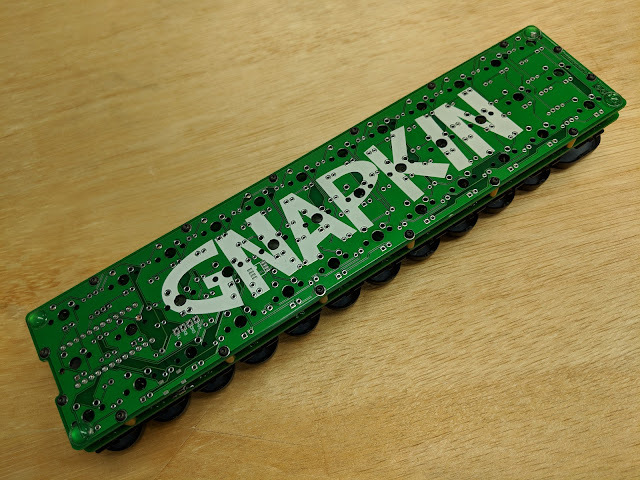 Bottom is a second PCB, just like on the Gherkin. 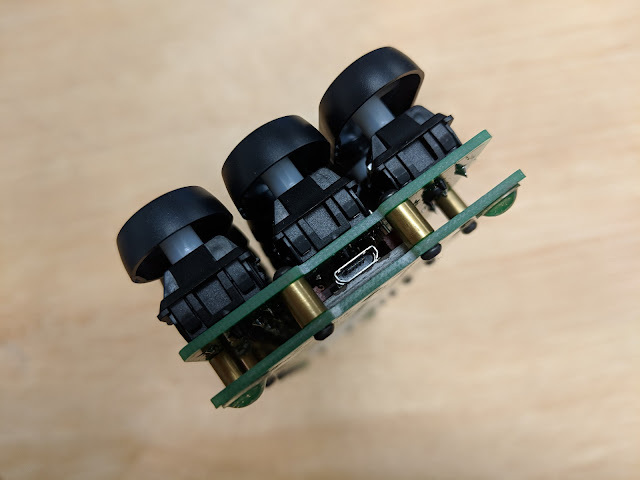 Top and bottom PCBs are connected with M2 spacers and screws. The Pro Micro sticks out the side. 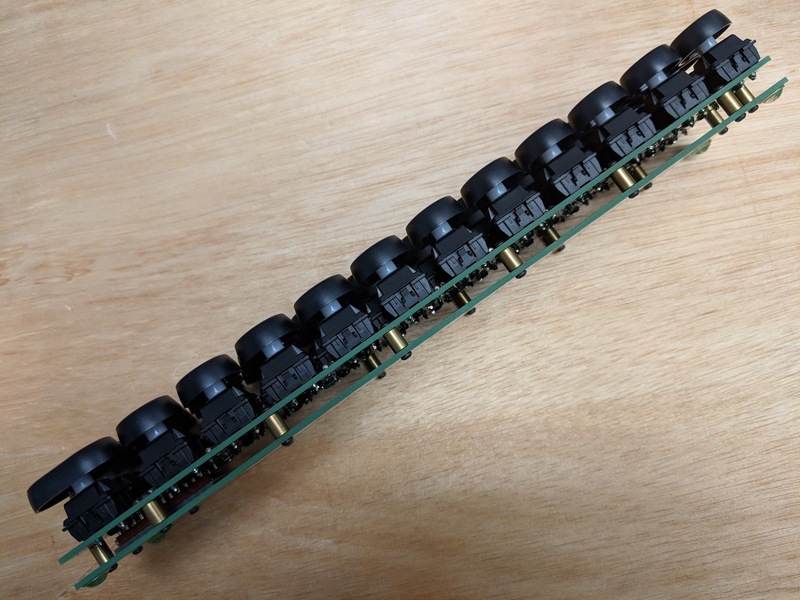 Top of a fully populated PCB. 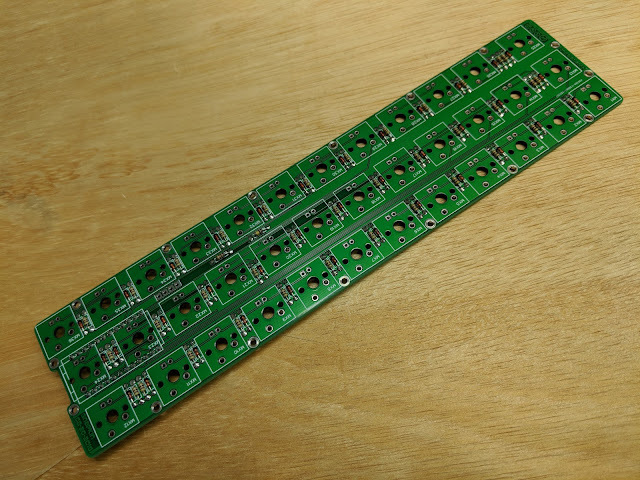 1n4148 diodes and resistors for the backlight. Bottom of PCB. You can see the MOSFET and the reset switch. A socket makes the Pro Micro removable. 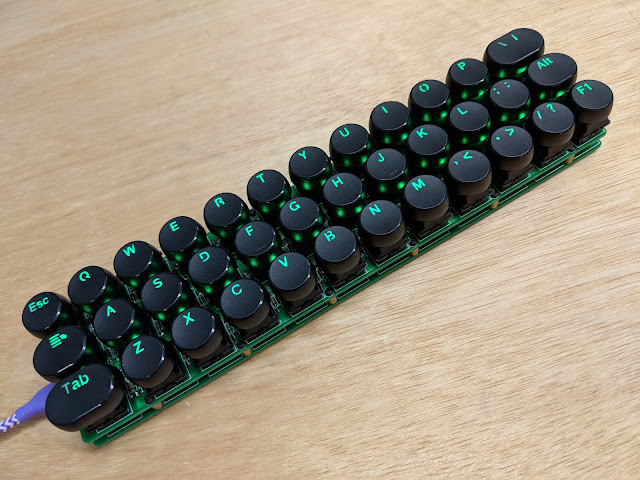 All of the parts used are the same as on the Gherkin, there are just 6 more of them for the 6 additional switches. The 2 unused pins are broken out to pads along with GND and VCC. Backlight on. 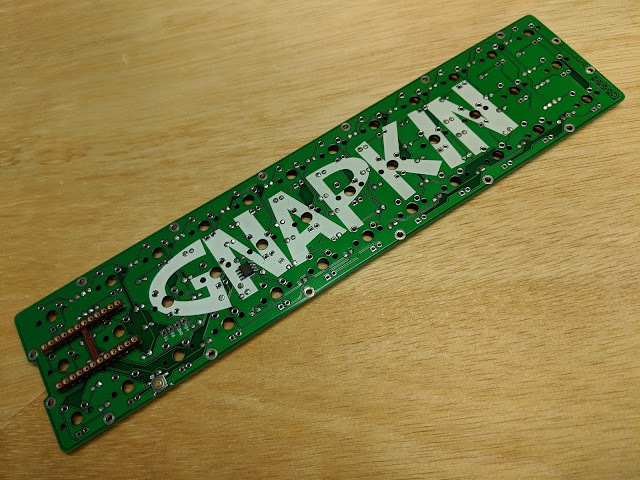 It has a single dimmable backlight, It does not have the per key backlighting of the GNAP!.